December 6 2018. In 2 days time the Plants Ferry Sports Complex just outside Spokane will feel the tread of hundreds of Masters Cross Country athletes. If the weather forecast holds, the air will be cold and the ground firm. A forecast of 25 degrees and cloudy with light 2-3 mph winds should mean *much* better conditions than a decade ago-Don't forget the hats and gloves/mittens though! The start for the Women's 6K is at 10 AM, followed by the Men's 60+ 8K race at 11 AM. It warms up as the day goes on. By 11:45 AM when the 40+ Men's 10K goes off, it will be a balmy 28 degrees! 40-44 This was largely covered by the 1st preview. See that post for details. The main contenders appear to be: Meriah Earle San Diego Track Club, Rachel Jaten unaffiliated, Kate Landau Tacoma City Running Club, Kaela O'Neil Boston Athletic Association, Maggie Shearer TeaMosqueda Elite, Heather Tanner Club Northwest, Heather Webster Genesee Valley Harriers, and Cambria Wu The Jane's Elite Racing. It should be highly competitive. After looking at the impressive credentials of all parties, I opted for Earle, Landau, and Shearer in that order. I liked Earle's combination of Carlsbad speed (17:05 Masters win) and Grandma's (Bjorklund) Half Marathon endurance. She also took the Women's title at the competitive San Diego XC Championships. Landau has similar chops at the longer distances and was a Champion XC runner in College a few years back. Although her time are not as fast as Earle's she has the combination fo speed and endurance that can work and she has a 2nd place finish at the USATF XC Championships earlier this year. And she took the Women's title at the So Cal XC Championships. Jten, O'Neil and Tanner could all upset the prediction though. It will be fun to see how it actually plays out. 3:04:10 Marathon in 2016, but with no recent results and no participation in either the Pac NW nor the Northwest region XC Championships, it is hard to gauge current fitness for XC. Three of the local team, the Spokane swifts, have promising resumes. Heather LeFriec Spokane Swifts ran a 33:12 5 Miler age grade equivalent to a 20:11 5K so she has speed.Keysha Stutz Spokane Swifts has run a 1:29:52 Teton Dam Half Marathon out and back so she has the endurance. Jodi Suter ran even faster in the St. Paddy's Day 5 Mile race, 32:06 age grade equivalent to a 19:30 5K. Even though Padilla's XC outing was 6K and therefore 3.72 miles compared to Thomas's 4 mile jaunt, her pace was almost half a minute per mile faster. Of the others, Bigelow has the experience but Suter has faster times and, I presume, home course knowledge. Championships in Bend in 2017, finishing behind Fischer and ahead of Strange. She appears to be Cross Country-fit as she won her division at the Stumptown Races #4 in 25:35 [6K] only a second behind Federov of 45-49. She demonstrated her XC focus by also taking her division title at Stumptown #3 over 8K in a rocking 33:22, 33 seconds behind Fedorov, that time. Kristen Mossman Club Northwest could make a run for the podium; she finished 8th in the 50-54 division last year and took the 55-59 title at the Northwest Region XC Championships in 26:56 over 6050 meters. Suzanne Cordes Impala Racing Team who took 2nd in the division at the USATF 15K Championships over a tough Tulsa Run course in 1:07:39 will be there to push the division leaders but a podium finish would be a stretch. 60-64 Mo Bartley Impala Racing Team ran a 21:54 Thanksgiving Day 5K so she is race fit. She also tested her XC fitness recently, finishing 3rd in the division at the PA XC Championships over 4 miles in 31:07, just over a minute behind Joanie Siegler Golden Valley Harriers, who ran 29:57. Siegler has two sub-21 5K's under her belt this year, and ran 1:08:14 at the Apple Hill Harvest 9-Miler. Jennifer Teppo Team Red Lizard, may be faster than both of those fast athletes. Teppo just won the USATF 15K 9.3 miles Championship on a tough Tulsa Run course in 1:08:01. She, too, is XC-fit, with a division win at the Stumptown #4 over 6K in 27:53; her pace matches Siegler's almost exactly. Bartley's teammate, Sara Freitas, outpaced Siegler at the PA XC Championships by 20 seconds. Earlier this year she ran a 21:17 at Stow Lake and a 1:14:52 at the JF Norcal 10 Miler age grade equivalent to a 1:09:39. Freitas carried a very slightly faster pace in her XC race but that could be entirely due to terrain. Teppo seems to be stronger overall and they were not racing head-to-head. It should be another of those terrific races within the race tomorrow. and ran a 32:46 4 miler. Donna Chan Impala Racing Team ran 35:33 over the PA 4 mile XC course to take 2nd in the division. She ran 23:50 at the Stow Lake 5K in the springtime but by the 4th of July could only manage a 26:38 at the Morgan Hill 5K, usually a fast course. Division National Championships in recent years but she had a fall a while back and is still in recovery mode. Sharon Gerl is the favorite based on her triathhlon efforts and a recent 23:26 5K. Carolyn Mather ran 27:00 at a Labor Day 5K last year. No recent results raises some doubts but based on 2017 efforts, she should factor in the podium race. Manya Hult has a 30:53 in the Balboa. Boogie 5K compared to Judy Schickler’s best recent 5K of 39:46. But they met in the Balboa Park 4 mile XC race with Schickler prevailing, 42:59 to Hult’s 47:37. That seems strong enough to give the edge to Schickler. 75-79 Catherine Radle (Atlanta Track Club) won the 2018 Masters Grand Prix for this division but Club XC starts a new season and Radle looks to seize an early lead. To get a full 100 points as well as the Championship Medal, she must get past Virginia Lopez. It appears that Radle’s strongest 5K this year is a 35:05 effort on a Thanksgiving Day. Lopez ran 46:49 in the Balboa Boogie 5K. Raffle should enjoy a good start to her 2019 Grand Prix season. 40-44 The main contenders for this division include many of the contenders to be first across the finish line in the 10K race. By the same reasoning employed there, I pick Jacques Salberg, Jorge Maravilla, and Neville Davey to finish 1-2-3. But David Angell, Eric Loeffler, and Olivier Vrambout could certainly upset the prediction. 45-49 All of the top division contenders were previewed in the earlier post. Like all divisions at Club XC, this one is packed. Ahrlin Bauman, Alan Black, Jonathan Frieder, Jaime Heilpern, Todd Rose, Orrin Schumacher, Harry Stants, and Uli Steidl will factor in the race for the podium but my favorites are Mitchell, Gardiner, and Howell. 50-54 Last year the winner was Peter Hammer, with Carl Combs and Kent Lemme a half minute back fighting it out for second. Combs passed Lemme late in the race for a two second margin. Mike McManus was 15 seconds back, followed by Christian Cushing-Murray. All return except McManus. Hammer is on his game; he finished 4th overall and 1st in the 50-54 division at the New England XC Championships in 26:52 over 8K, with his teammate, Andy Gardiner, 40 seconds back. Lemme did not contest thee XC Championship but ran 34:22 in a Turkey-day 6 miler, so fitness is not an issue. Meanwhile on the other northern coast, Combs was finishing 2nd masters (and first 50-54) to Uli Steidl in the PAC NW XC Championships over 6K in 21:05. The group will not have to worry about Steidl until next year when he ages up to 50-54. Hammer seeems a safe pick for the division win, with Combs, Gardiner, and Lemme battling for the two remaining podium positiions. Cushing-Murray took his age division win at the Southern Callifornia XC Championships in 29:42 over 8K but this race may be a bit too soon iafter his recovery from injury for 'Cush' to threaten those three. 55-59 Nat Larson is the defending champion and is expected to repeat. He has been unbeatable on the roads and the turf since he aged up last year. In fact, he was voted the 50-54 and 55-59 Road Runner of the Year. Last year in Lexington KY, Larson had nearly 2 minutes on the field. Neither John Van Danacker nor Ken Ernst, who finished 2nd and 4th are back, but Mike Blackmore, who finished third, will contest the outcome. Tony Young, who was only 40 secods behind Combs at the Pac NW XC Championships, will also be a factor. When the Club XC Championships were in San Francisco in 2015, Young finished just 15 seconds back from Blackmore and 25 seconds ahead of Mike Nier. Nier is entered but was nursing a recalcitrant hamstring at the USATF 5 Km Masters XC Championships in late September. He was back on top of the age division at the Pete Glavin Cross Country Championship, winning over an 8K in 30:14, but it may be too early in his recovery for him to play a role in the podium fight. Mark Reeder, who finished 2nd to Joe Sheeran 4 years ago at Club XC in Bethlehem, is entered but is a bit off his best; he finished 2nd in the division at the New England XC Championships in 30:18. Gary Leaman, who ran 37:07 to take 5th in the division in 2016 at Tallahassee, has run a couple of 5K's this fall in the low to mid-18's. 60-64 This Division was covered in the previous preview. I worry that Jacob Nur will crack the podium but will stick with my forecast of yesterday for Sayre, Sheeran, and Becker. Sheeran has had the edge in the past, but Sayre has been on fire for the past year. 65-69 James Foster, Kirk Larson, and Theodore Larison finished 1-2-4 last year in 33:21, 34:34, and 36:08. Doug Bell sat out last year after winning the division the year before in Tallahassee; he is back. Doug Winn is returning to contest a National Cross Country Championship for the first time since he won the 65-69 division in 2016 in Bend. In one of those coincidences that catches our attention, Larson and Foster recorded the exact same 15K time, 1:03:57, on two tough courses, Tulsa and Utica, respectively. Winn ran a 20:01 in the Bowerman Track Club 5K this fall; that is faster than Larson ran in Atlanta, 20:10. John Hirschberger had some very strong performances this year but ran in the California International Marathon last weekend so will probably not be at his best. Foster should be favored but Winn might win out. And Bell is a wildcard. If his recalcitrant back does not act up he could lead the way in again. He took the 65-69 title at the Colorado XC Championships but his 26:15 over 6K was 3 minutes behind Sayre, the 60-64 Champion. Sayre is amazing right now, but that 3 minutes suggests Bell maybe just enough off his game that the others will keep him off the podium. We shall see. 70-74 David Longmuir returns to defend his title. Those who chased him to the wire last year, numbers 2 through 9 are all back. Longmuir indicated last year that his teammate, Craig Andersen, who had an off day, usually came in ahead of him. If so, he should contend this year. But I find no results for Andersen since Club Cross. Longmuir has been running strong and he took the 70+ title at the Pacific NW XC Championships over 6K in 27:58. Don Porteous, who finished 2nd last year has also been running well, taking the Pacific Association XC Championships over a 6-mile course for 70+ in 49:52. David Glass, who took 3rd, ran strong earlier in the year but ran into some magging injuries late in the year. Unless he does a quick recovery from his exertions, when injured already, at the 15K in late October, he will be running primarily to help the team. Len Goldman, 4th last year, says he has lost a few steps. He did run about 7-14 seconds slower this year at a couple of 5Ks but I see no evidence of a general slowing. Race conditions can cause bigger year to year changes. Porteous and Goldman will be in the hunt for sure but they do have new contenders who have come into the ranks of 70-74. Lloyd Hansen, Jerry Learned, and Terry McCluskey have all aged up this past year. Hansen won the Mile and 15K Masters Championships this year, with Learned typically very close. McCluskey has raced more sparingly, but took 2nd in the 5 Km Masters Championships behind Gene Dykes, finishing ahead of Hansen and Learned. Ron Wells, who took the 70+ Championship at Club XC in Tallahassee, is back this year and will be a factor. He won the San Diego-Imperial Association 70+ XC Championship this year over 8K in 37:26. 75-79 Hall of Famer and 9-time USATF Road Runner of the year, Doug Goodhue, has dominated this division since he regained fitness after recovering from the nagging injuries that plagued him from 2015 through 2017. That should continue for this Championship. The other contenders include last year's Champion, James Callaway, who ran 42:26, and Charlie Patterson, who finished 4th in 43:58. Hans Schmid, who favors distances longer than a Marathon, will drop down to challnge. He prepped by taking the division at the Pacific Association Championships over 6 miles in 57:53. It looks like the final order would show Goodhue and Callaway 1-2 with Patterson and Schmid slugging it out for the final podium spot. Patterson ran a 27:36 5K on Thanksgiving. Unless he was just taking it easy, which is possible in a local 'fun' run for a good cause, that sugggests Schmid should have the edge. 80-84 There are four entrants this year, Sid Davis, James Kurtz, Warren Osborn, and Richard Williams; none were in Lexington last year. Osborn and Kurtz, teammates for the San Diego Striders, tried their feet on the Cross Country turf, taking 1-2 in the division in 55:01 and 61:22. Davis ran a 5K on Thanksgiving in 39:51, and Williams ran the AJC Peachtree Run [10K] in 1:35:59. It looks like Osborn and Kurtz are a little faster, followed by Davis and Williams. I only have time and resources to give an impressionistic look at the team races, so no 'picks' except in the narrative. Women 40+ The Spokane Swifts are the local heroines, and look strong. They could well take the Championship. The Janes, San Diego TC, and the Impala Racing should be battling them all the way. GVH, Bull City, and Club Northwest could make things interesting if they can run a tight pack. Women 50+ The Janes, who took the division title in Tallahassee, should be able to repeat their win this year. Atlanta, Club Northwest, GVH, and the Impalas will try to prevent that or at the least land on the podium. Women 60+ Team Red Lizard, the Impalas, and Atlanta will be battling for this division victory, with that order maybe being likely. Women 70+ Atlanta and San Diego will battle for this crown. The 2018 Grand Prix Champions, Atlanta, should prevail but we will see on Saturday. Men 40+ It seems that this will be another fight between the B.A.A., the Bowerman Track Club, and the West Valley Track Club. West Valley should have enough strength to defend their title. The rest will depend on the depth runners on each team. With the addition of Sallberg, Cal Coast could be in the mix if Gardiner also has a good day, but they may not have the depth to crack the podium. Run Minnesota, Atlanta, and Garden State will all make a run at the podium but may come up just a little short. Men 50+ Greater Springfield should have no problem defending their title. The usual suspeccts will battle for the other spots. Bowerman, Cal Coast, Club Northwest, and GVH. I give Club Northwest the nod for 2nd. Men 60+ Club Northwest, with Sheeran, Becker and Mike Smith, should take this division championship. But it is never a cakewalk. Atlanta, Boulder, Syracuse and Shore will make them earn it. Boulder and Syracuse should have a slight edge over Atlanta and Shore but it will be settled on the turf. 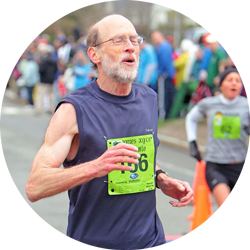 Men 70+ Tamalpa is the defending Champion but Ann Arbor, Atlanta, and Boulder have all added runners who have aged up from the 65-69 division. The San Diego Striders have picked up Ron Wells, who led the Florida Track Club West to victory in Tallahassee. If Ann Arbor is at full strength and everyone runs well, the 2018 Club Grand Prix Champions may be able to take the win. But the Eastsdide Runners are powerful. If Longmuir takes the 70-74 title and Andersen runs well, they could take it all too. Tamalpa is still strong. Porteous and Goldman are running well. Gene French is a little off his best, though. GVH was strong earlier in the year but one of their top runners, Tony Gingello, struggled with nagging injuries in the fall. Ann Arbor, Eastside, and Tamalpa all have good shots at the title, with the podium likely to be a bit of a stretch for Atlanta, Boulder, and GVH. Men 80+ The San Diego Striders have a complete team entered. All three need to finish to win the Division Championship. All the best to all of the runners! It should be an exciting and revelatory day on the cold, hard turf!